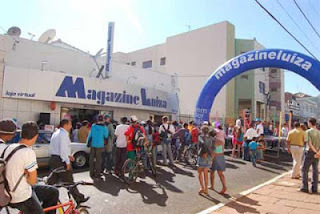 Next time you are in Brazil, leave the typical tourist locations and visit the nearest Magazine Luiza, the growing retailer headed up by Chairwoman Luiza Helena Trajano. There you will see another side of Brazil - the many up-and-coming consumers just entering the lower middle class. Brazilian families looking to buy their first refrigerator, or other modern convenience, probably do not go to the retailers that are so well known globally. Rather, they probably head to Magazine Luiza or one of the other, similar home-grown retailers. Why? Of course, this company knows its logistics, and understands distributions channels in Brazil. But what makes this company special is that it understands the “whole product” – although probably nobody in their organization uses this phrase. To see what I mean by whole product, consider what it is like for a family now able to afford their first refrigerator. A job is bringing in some income, but the family cannot afford a large cash payment. Neither do they have credit. But when they go to the local Magazine Luiza store, they are approached by a worker who talks to them about their needs. The conversation is friendly, and the store is abuzz with neighbors and friends. If things work out, Magazine Luiza will extend them credit, and the purchase may even take place using the internet – but on a terminal right there in the store. The “product” sold in this case is not just a refrigerator, but the credit to make the sale, access to the technology needed to identify the right refrigerator, and even the physical location of the store and the atmosphere that makes the experience comfortable to the novice customer. Had you tried doing market research in advance of this purchase, the customer would not have known what they needed to make all this work out. But in action, all these elements combined so that the purchase could take place. Taken together, these elements are the whole product. Sometimes a product can be too focused. You need to identify the whole product – the full set of features (including services) that are required to delight the customer. The tough part is that those features are typically discovered through experience. For instance, over time Cemex became a force in the global Cement business by acquiring and making efficient many of the world’s inefficient cement operations. But Cemex’s value to the customer was due as well to their ability to deliver cement to the right place at the right time, which required excellent logistics, and other service benefits that made them a good partner in the construction business. 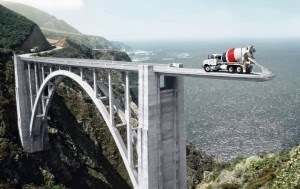 That full set of features – the whole product of efficiently manufactured cement, logistics, and service – was discovered by Cemex in the early years of its global expansion. Similarly, in the disk drive market, firms like Seagate evolved the product we now know as the disk drive. They brought together a set of individually-important components such as substrates, heads, motors, software, ASICs, and other such parts. While each of these components is important, much greater value is experienced by Seagate’s customer from being delivered a complete disk drive than would be the case if it were to buy only some of the disk drive’s components. Is your product the “whole product”? This is a tough question, because in trying to build out a whole product you may be losing focus. Some firms add features in order to please different kinds of customers, and end up being just so-so for each customer. In other cases, companies bring many different benefits to the same customer – the troubled one-man-band of the integrated product. The whole product delights your customer by satisfying completely a single need. For more on this idea, read Regis McKenna's original book published back in the 1980s.